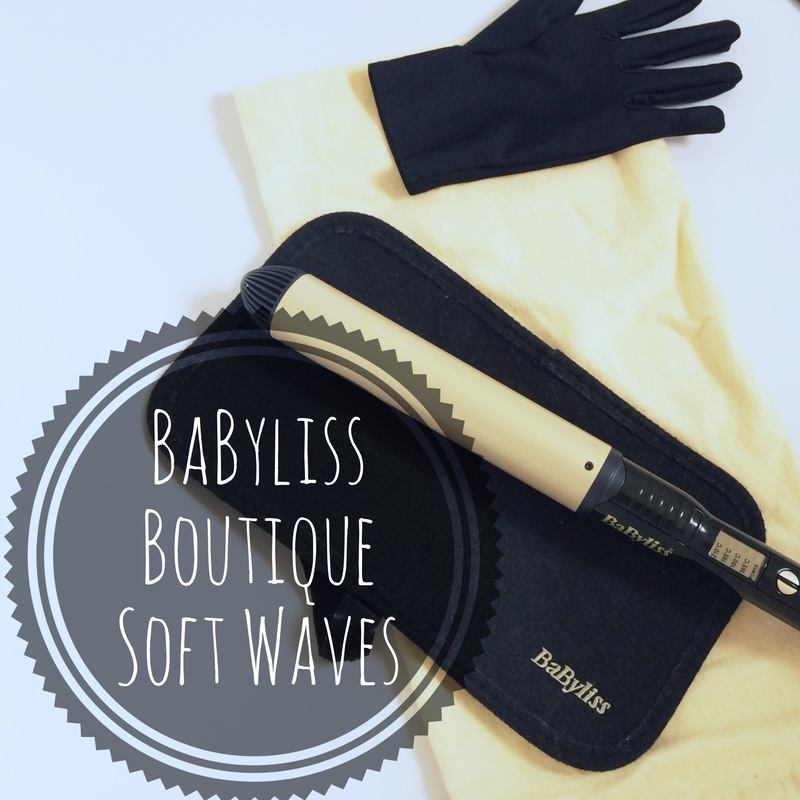 Almost two years ago I had used my Boots Advantage Points to buy a curling wand – the BaByliss Boutique Soft Waves. I had heard it was great, but I ended up getting it once, burning myself and never using it again. Well, I took it out for trial a few months back and let me tell you, I was so amazed with the results – I use it all the time now! 1. It has an extra long barrel, so even if you have long hair your hair will fit around it! 2. 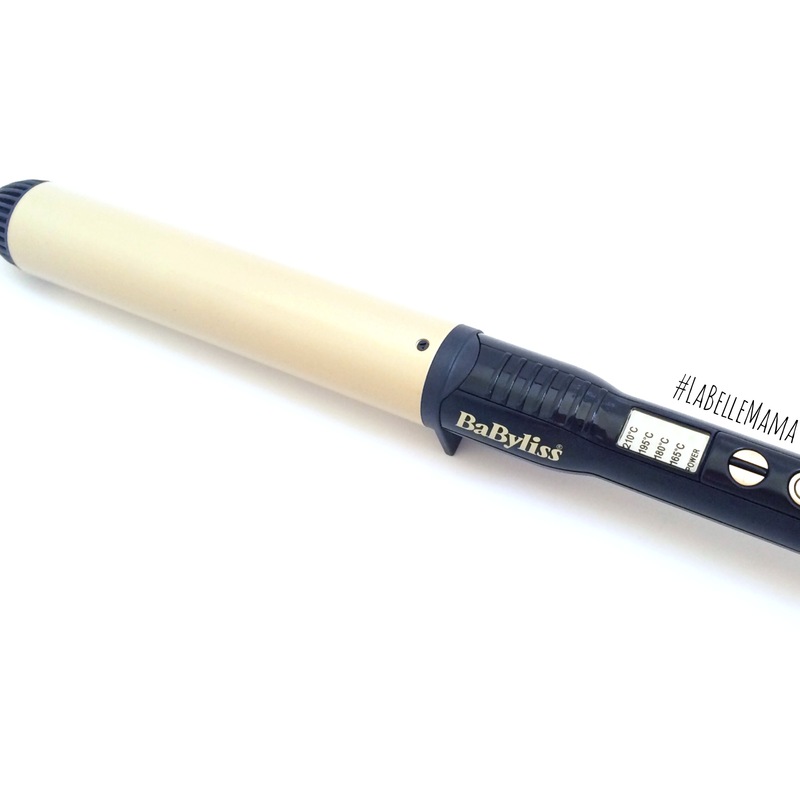 It’s clip-free so it makes curling super quick and easy! 3. 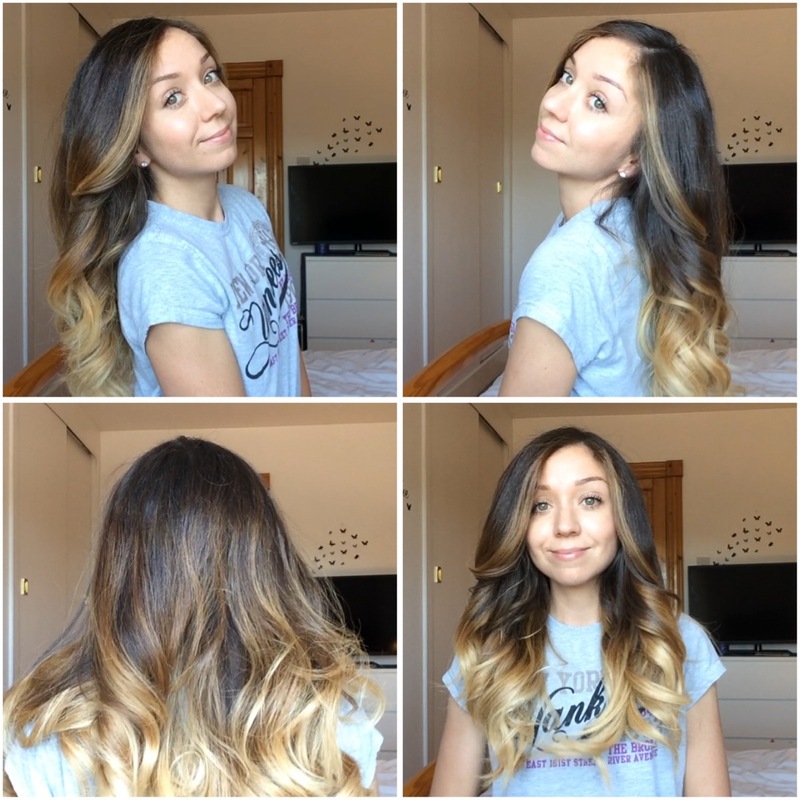 The width of the barrel creates big loose curls that look NATURAL! 4. It has 4 different heat settings – I use the highest one! 5. It comes with a bag, a heat mat and a glove! I love to create large natural curls, that will eventually become tousled waves. 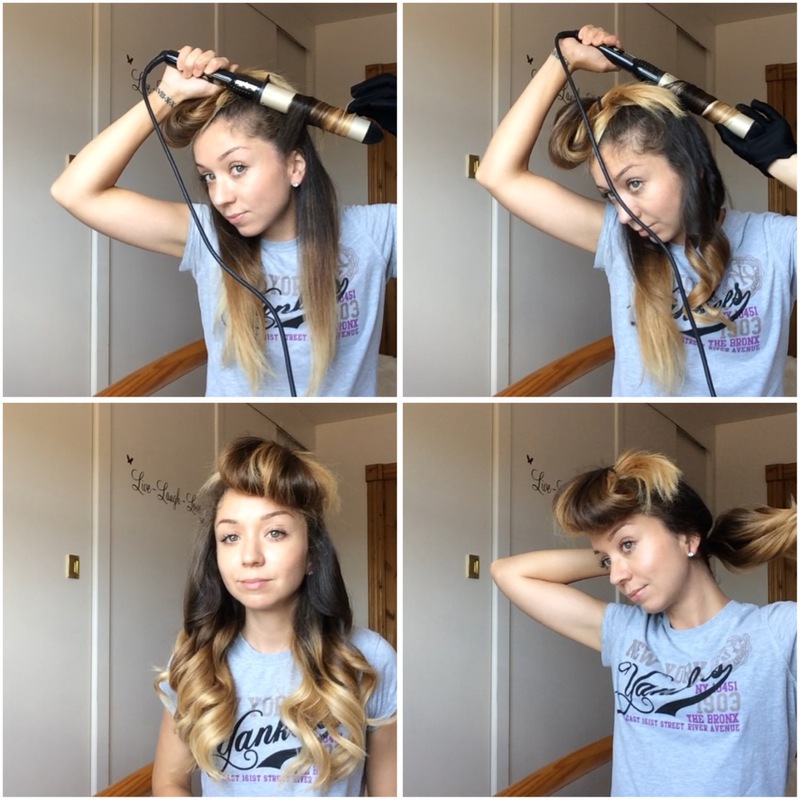 This style takes me about 20 minutes to do – that’s with holding each curl for 10 seconds! It could take you less! 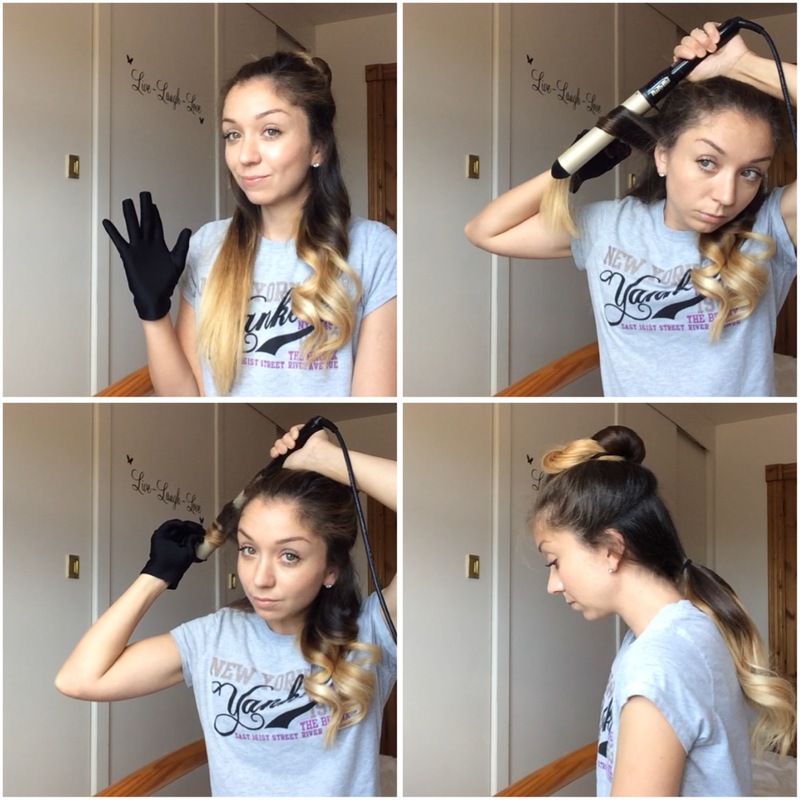 I section my hair into three parts, leave the bottom layer down and tie the rest up. I then pull that hair forward to either side of my neck and split into equal sections. This is about 2 or 3 either side, and I work from the front to back and then go to the other side. There are 4 basic steps to follow on each layer that you take down. 1. Pull the section of hair taut. Place the barrel pointing downwards, behind the section of hair. 2. 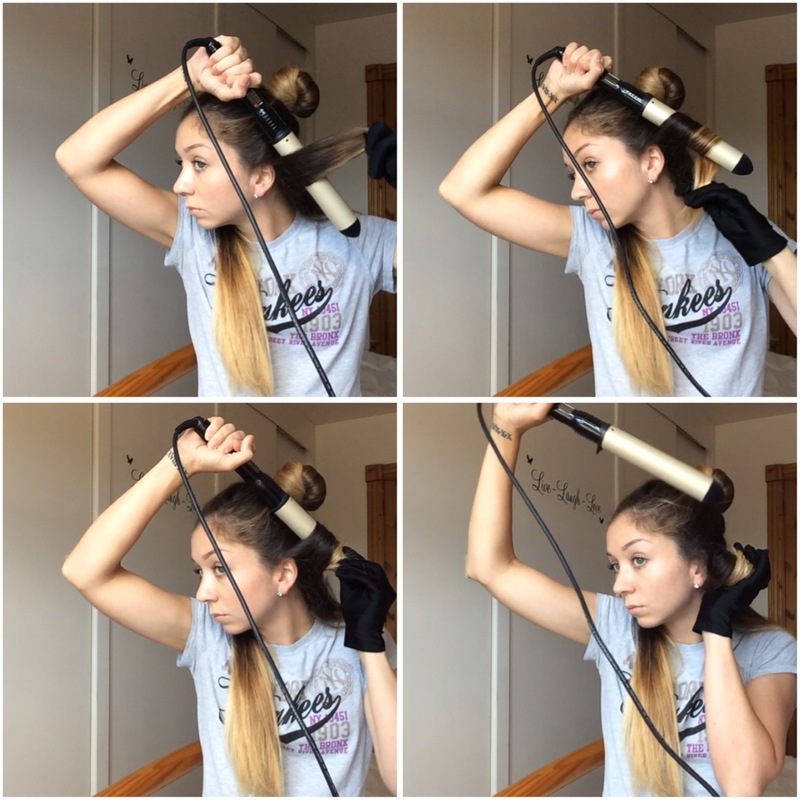 Wrap the hair around the barrel, pulling it away from your face. 3. Hold the curl on the barrel for 5 – 10 seconds. 4. Slowly pull the barrel up and let the curl fall into your hand. Hold it in your hand for a couple of seconds and then let it down. Change the glove, and do the other side. Then, just to make it easier for myself I tied the completed layer in a loose ponytail at the back of my neck. Continue to work from front to back, it should be two or three sections either side to create big curls. Tie this next completed section in with the previous at the back of the neck. Then take down the top layer. At this point I work from the BACK. I hold the barrel horizontally and very close to my scalp, still wrapping the hair around the barrel away from my head. 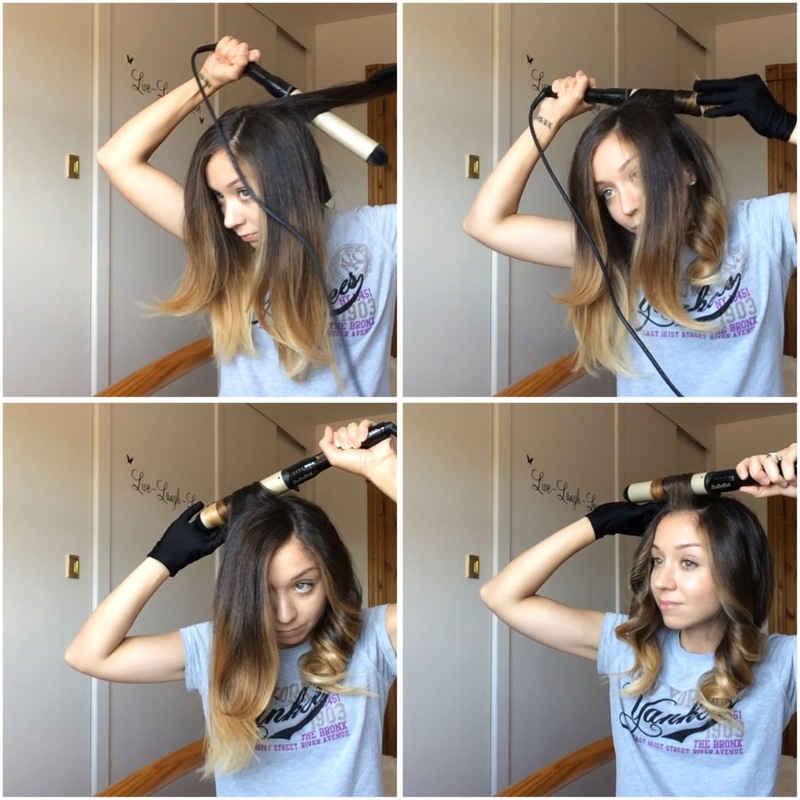 So that’s how I create big loose curls. It’s a really easy look to achieve so I hope I made it seem that way in this post! 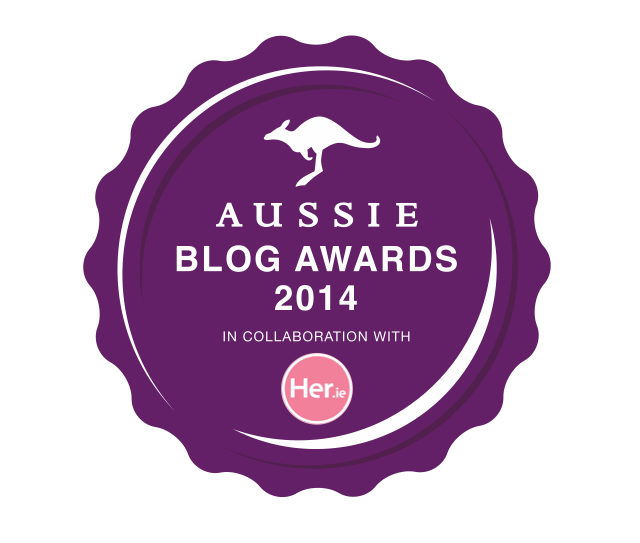 If you found this helpful or you’d like to see more posts like this – please let me know! What temperature setting did you use to get those curls and do they last long? Hi what temperature setting did you use? Also did the curls last long in your hair?